We all know that the purpose of workplace training isn’t just to memorize facts and information or even to practice new skills in the classroom or laboratory. The ultimate goal of workplace training is to change behavior—to improve employee performance—back on the job as a result of the learning. 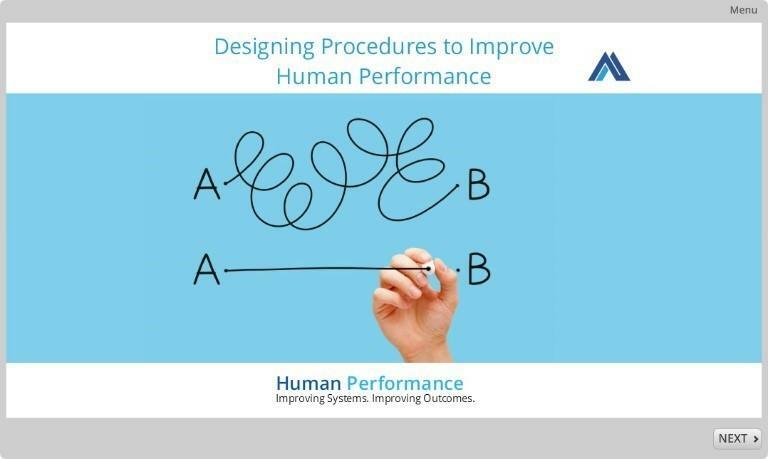 The idea is that when enough employees change their performance for the better, the performance of the whole organization will improve in the classroom or laboratory. The ultimate goal of workplace training is to change behavior to improve employee performance back on the job as a result of the learning. The idea is that when enough employees change their performance for the better, the performance of the whole organization will improve. 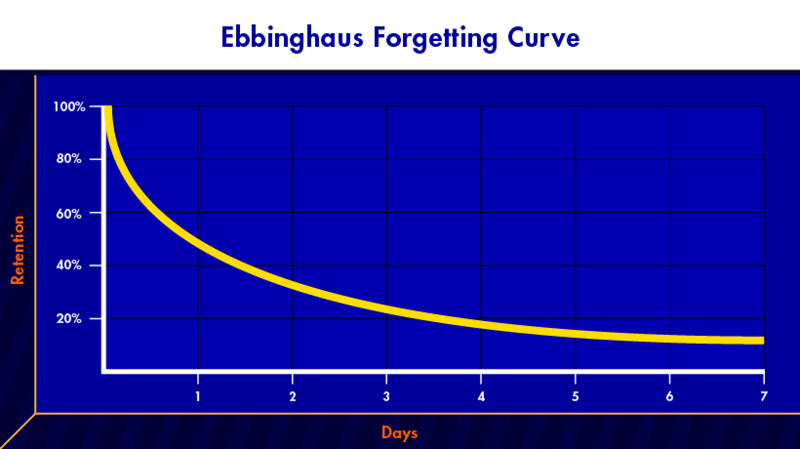 One of the biggest challenges of seeing this "formula" play out is the so-called forgetting curve. Research shows that once a person learns something without reinforcement, he/she begins forgetting it almost immediately. Within a few days, the details have faded. This is where blended learning can really make a difference. 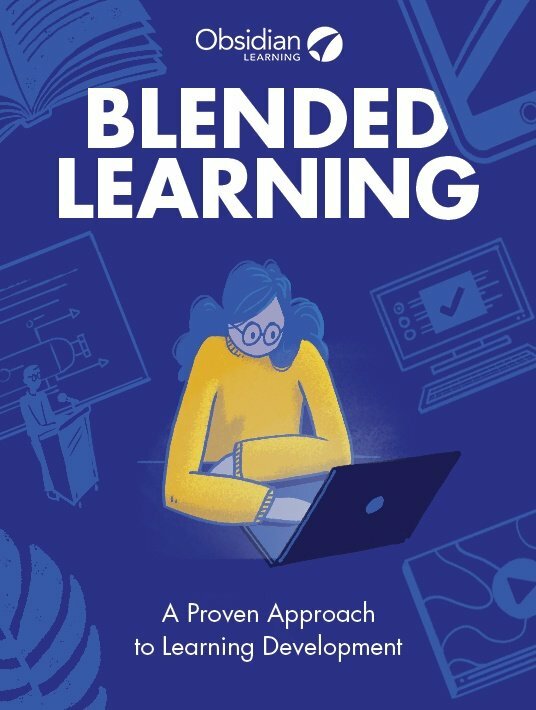 Remember that blended learning is generally accepted to mean education/training that combines different media to transfer knowledge, traditionally online media, and instructor-led content. We have expanded the definition to include many types of media that may or may not include an instructor-led element. We know that for positive behavior change to take place at work, we need support when it comes to applying the new skills or information at work. So how can blended learning help? First, blended learning helps with the acquisition of the new skill/knowledge at the outset. When we learn things in different ways, we are more likely to remember them. So using a multimedia approach to introduce new skills or knowledge helps learners retain more of the key information. Blended elements, such as an online course on the fundamentals of a subject, may also aid a learner to be more prepared to learn and retain the deeper content in a classroom or other learning environment. An example of this multimedia, multi-touch approach is seen here, where we created an online procedure writing course to support and reinforce the content taught in a one-day workshop where the skills are practiced. Second, blended learning can provide opportunities for on-the-job practice for the newly learned skills. For example, following a face-to-face class on interviewing skills, participants are sent a guided practice exercise to interview a colleague or supervisor, or, as in the case of our procedure writing course, participants were sent prompts and were invited to send an example of newly drafted procedures for evaluation. Another avenue for ensuring application of skills could be through a mobile app or a resource/community of practice website. 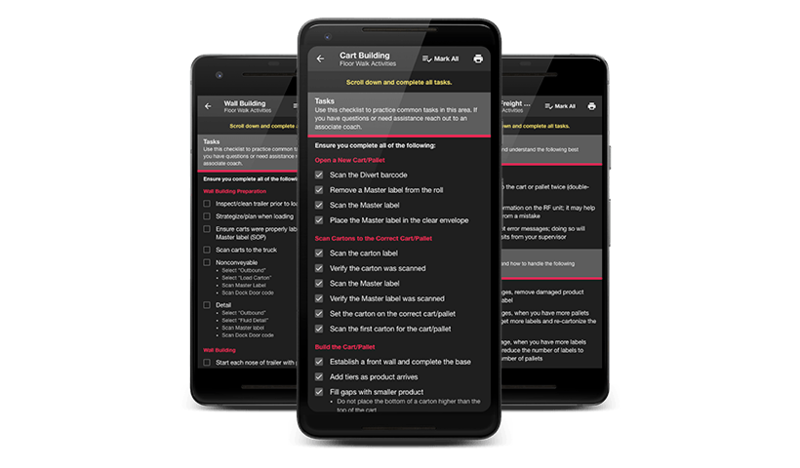 Here, we can see a mobile app we created for a supply chain learning initiative for new managers to practice (with the help of a coach) various skills learned previously via a webinar. These opportunities foster motivation and provide a safety net when trying the new skills. In one instance, we helped a client implement a system which, while crucial to the business, would only be used twice per year. We know that the longer the time between learning a skill and applying it, the more forgetting happens. Users of the system required support at the time of use months down the road, rather than immediately during the initial introduction. To close that gap, we developed online microlearning courses. Blended learning can be used to improve human performance with great impact – but without great cost. 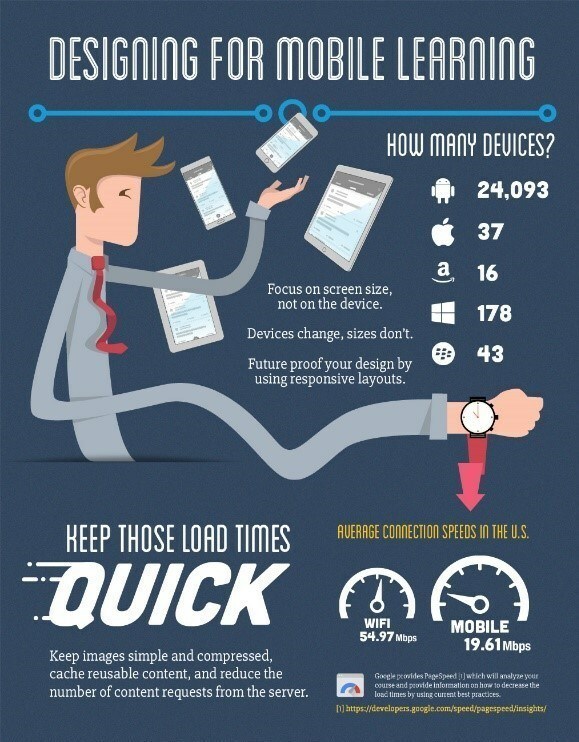 A simple infographic or quick reference guide might provide all the prompting and review needed for the learner. Learning that results in positive behavior change and improved performance takes time, support, and reinforcement. These are the key components of a well-designed blended learning program.